A lateral top floor studio flat, close to Olympia and The Central Line. The flat has good built in storage and a pull down double bed, and a well equipped open plan kitchen with breakfast bar. There are glazed sliding doors to a small parapet balcony giving the flat a lovely airy feel. The flat has a recently fitted shower room. Sinclair Road offers all the desirable amenities of Brook Green and is incredibly convenient for transport as it is minutes from Olympia and Westfield. 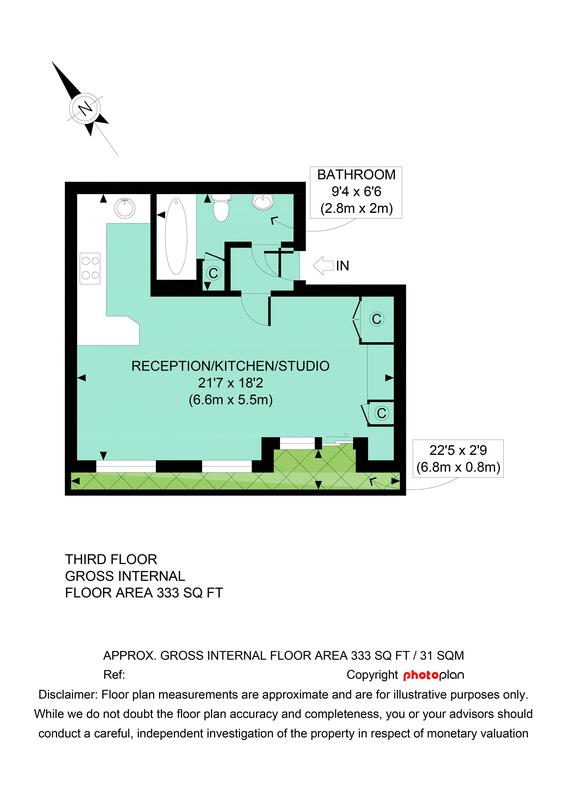 333 sq ft / 31 sq m approx.